Bruce Dickinson is a huge fan of the Spitfire and World of Warplanes and the Warplanes Diaries Series he has been doing reaches its conclusion with the Supermarine Spitfire. 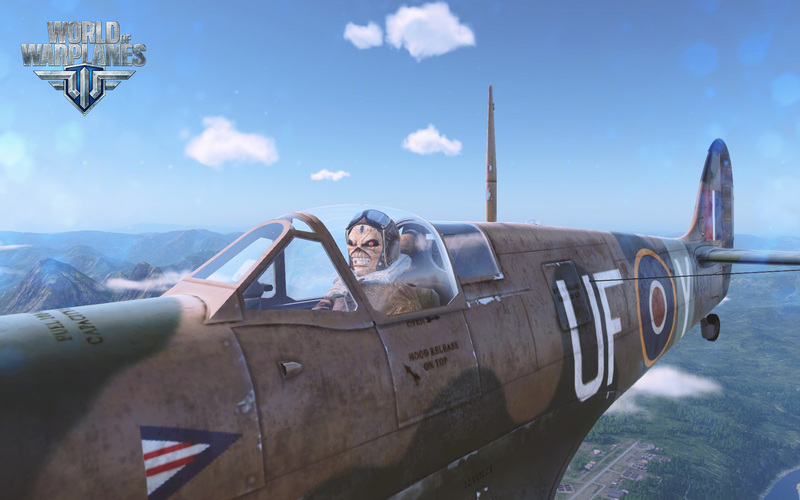 With the UK leg of Iron Maiden’s The Legacy of the Beast European Tour in full swing & gaining rave reviews, the partnership between the British legends and World of Warplanes is further evolving. 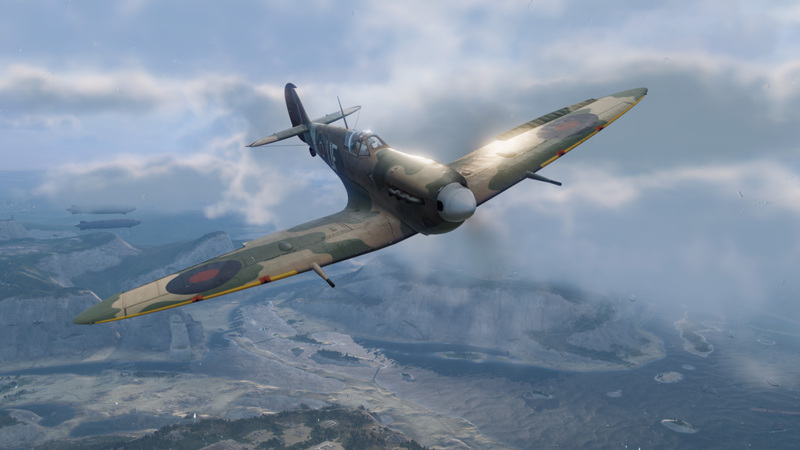 To complement the scaled replica Spitfire that appears onstage during the opening number, Aces High, players will be able to earn this specific aircraft (AA 853) in-game. From August 6 to August 13, players will be able to take on a mission marathon, which will ultimately award them with the Supermarine Spitfire MkVb IM. This unique warbird has a very interesting and iconic pilot, Iron Maiden’s own mascot, Eddie. Eagle-eyed players will also notice more allusions to Iron Maiden throughout their hangar. The mission marathon consists of five stages to earn the Iron Maiden Spitfire and its unique pilot. 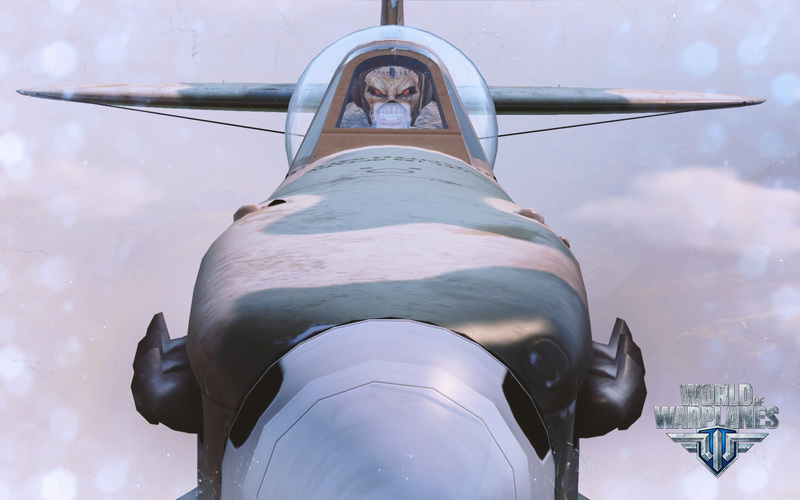 Both are equally as ready to take to the skies and set course for battle. But that’s not all, you can also win one of the two codes I have to giveaway with the Supermarine Spitfire MkVb IM, unique iconic pilot, 3 Days Premium Account and 1,000 Gold for EU players! You won’t be able to buy these at the Premium Shop and if you miss the Marathon, they are gone! What are you waiting for? Enter below and good luck everyone! But does it give a mad metal cackle when strafing ? I bought my first LP when I was six or seven and it was the Number of the Beast. This might get me back in the game. Same here. I stopped playing when they released version 2.0. (I found the gameplay boring). Maybe it’s a good time to play again. And I have to say they arranged the best guy to publicize the game: Bruce Dickinson, the greatest rock singer of all time. I tried to play, but when I clicked on “battle” the game crashed. Actually, my PC crashed which I had to reboot by pressing the “power” button. I had forgotten but it had already happened when I tried to play some time ago. I will try to update the GeForce drivers and then I will try to play again. I need the Spitfire (my favorite plane) with Eddie as a pilot. Nice fighter, I like it. If I win, it’s because the dice favour me. I already completed the marathon and recieved the plane but I want the other goodies, mainly gold. This is pretty cool, I really like the Spitfire. Didnt get any special pilot, it’s just regular dude. I think the Iron Maiden pilot might be just on these codes. Eddie doesn´t show up in the garage, just when in battle, zoom in on the plane. In the garage it’s just a vanilla pilot.